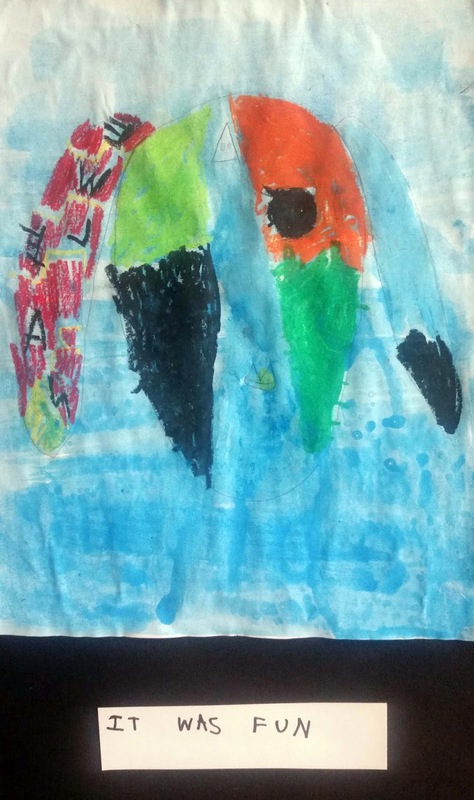 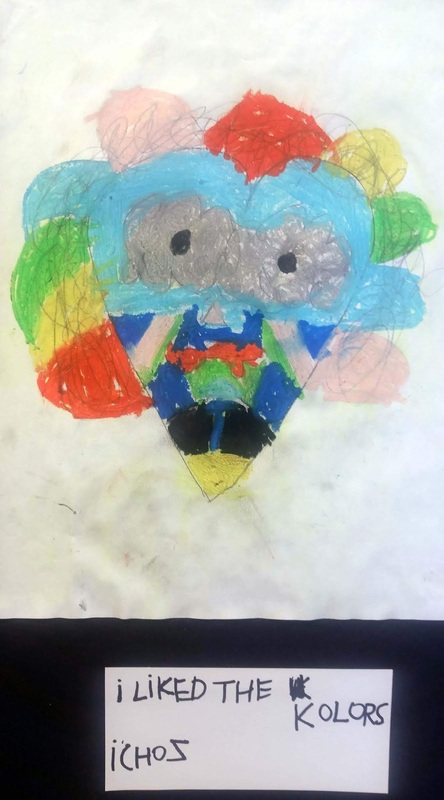 Our Kindergarteners' January self portraits were inspired by the unique work of Pablo Picasso. 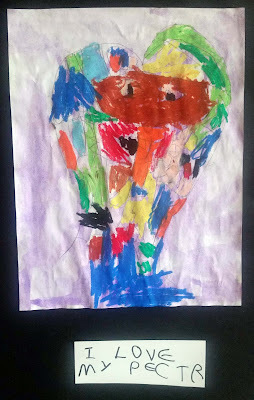 The teachers printed out a few examples of how Picasso drew faces for the children to study. The samples were also meant to spark a deeper understanding of what Picasso was like. And indeed it did! 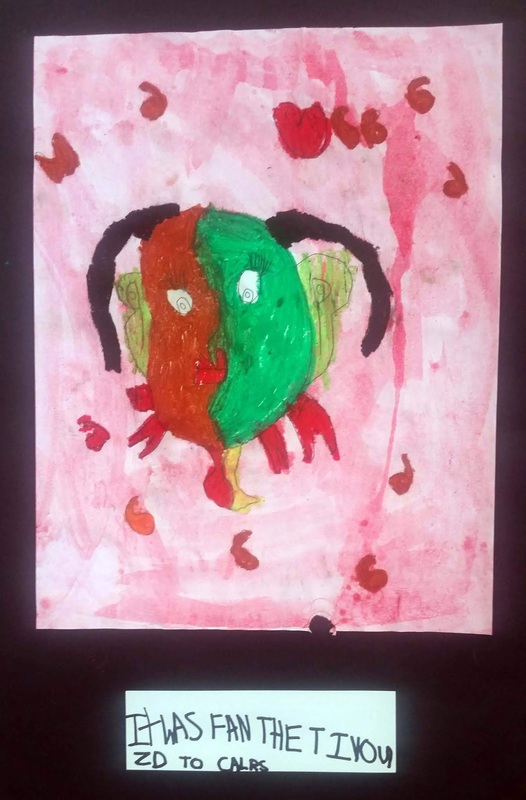 The children discussed how confident and secure Picasso must have been to be able to present himself in this way. 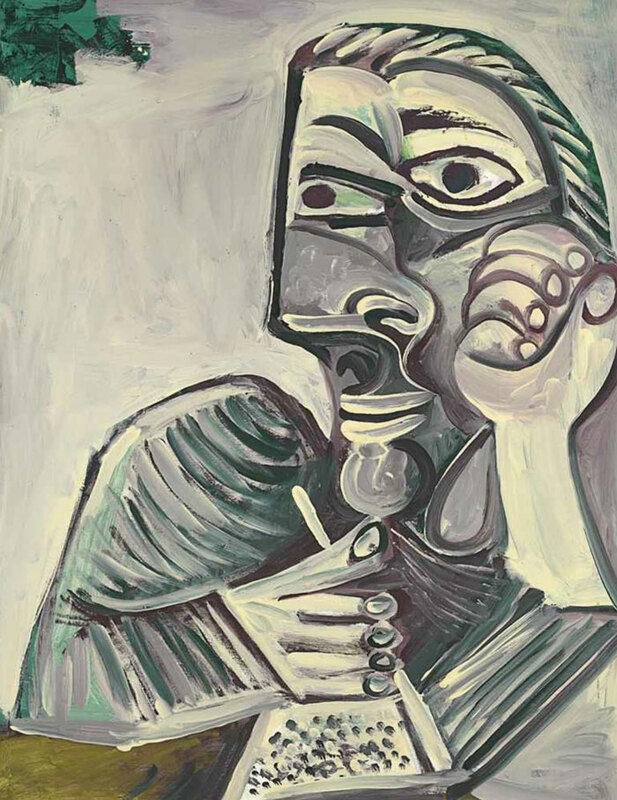 Noah: "Picasso did not care to draw himself funny and he did not care what people thought about it; so he drew himself more." 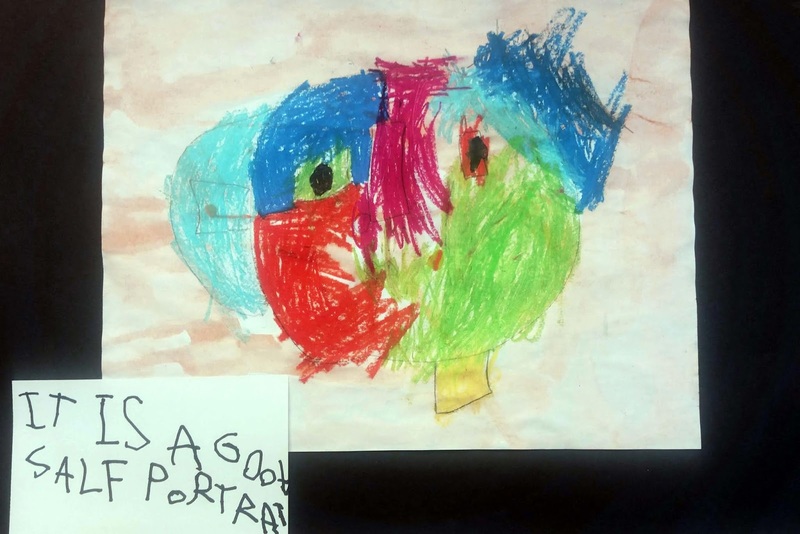 Ethan: "He made the faces look weird." 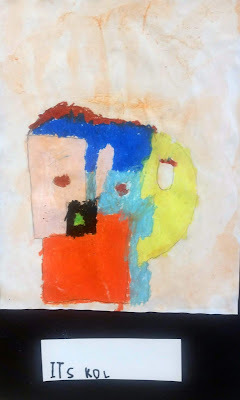 Vered: "I like the way he painted the faces because Picasso loved his art." 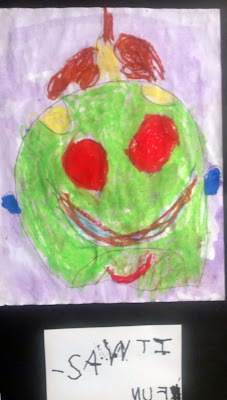 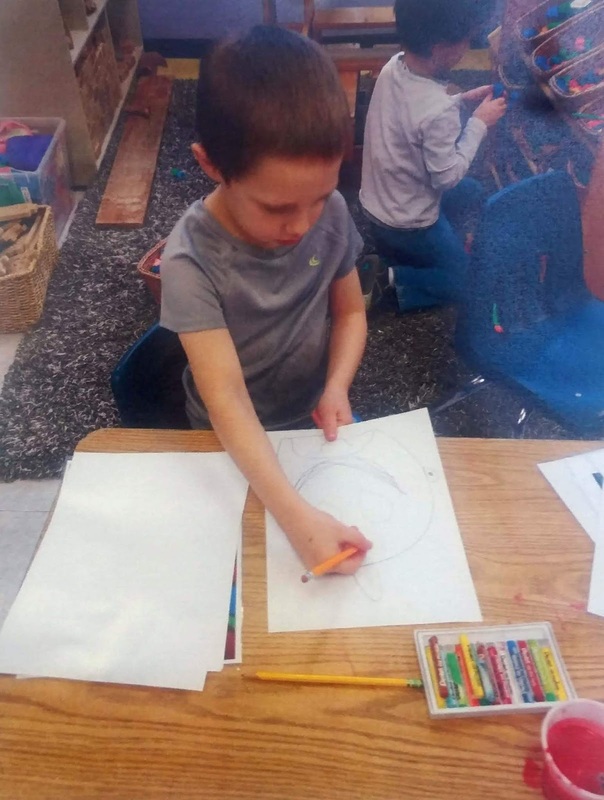 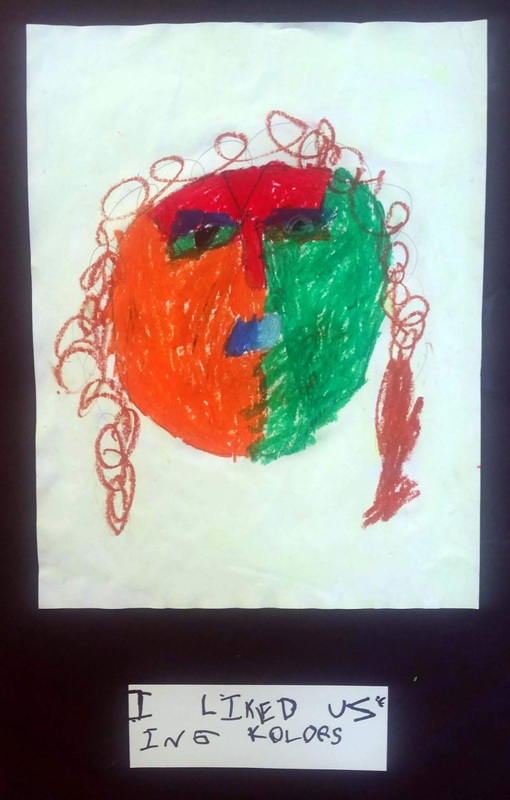 As the children attempted their own colorful self portraits using the "Picasso method," they also reflected on what they liked about the process, see some of their notes below the portraits. 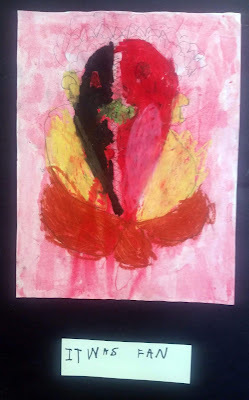 We believe that since art is subjective, it opens doors to many interpretations. 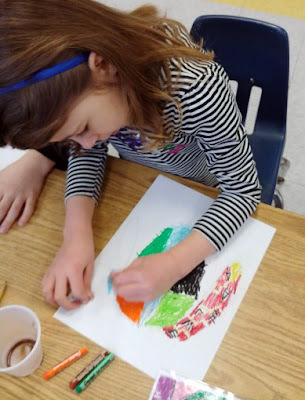 Art is great tool for children to stretch their imagination, as well as promote critical thinking and overall language skills. 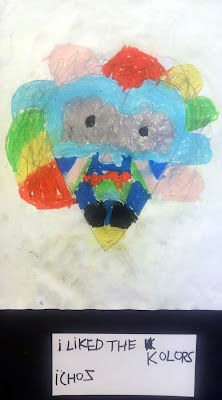 For our teachers it was fantastic to see with how much confidence, enthusiam and pride the children approached this project.